Designing and decorating a restaurant takes careful planning and a good eye for detail. There are many different factors to consider, which is why sometimes you overlook the less obvious things. Most people concentrate on creating a layout or floorplan that is fully functional and choosing the perfect lighting to enhance the overall experience. These things are vital to the success of your business but they’re not the only thing you need to pay close attention to when designing or decorating your interior. There are a few common mistakes that you should be aware of that will have a major impact on how well your business thrives. Having a good floorplan, excellent lighting and comfortable seating is necessary when creating the right type of environment for your establishment. You put a lot of time and thought into making the right decisions in these areas, so don’t ruin all that hard work by making simple mistakes that may not seem important at the time. Cluttered and unorganized greeting stations– This gives the impression that your kitchen may be clutter and unorganized as well and that can discourage repeat business. Not enough room in the waiting area– There will be times when your restaurant is filled to capacity and you’ll have guests waiting to be seated. You don’t want them standing around feeling out of place while they wait, so make sure there is a comfortable seating area for these customers. Small, cramped or dirty bathrooms– Many people judge the cleanliness of a home by the way the bathroom looks. The same is true for restaurants. If the bathrooms are too small or dirty, many customers may get a bad feeling about eating at your establishment. Irrelevant decorations– Decorating your restaurant does more than make your establishment look nice. It’s also a chance to tell your brand story. Don’t waste this opportunity on irrelevant decorations that simply take up space. Our Miami interior decorators will help you find the best way to show your brand’s unique personality through your decor. Inefficient storage space– If you don’t have enough room to store all of your items, it will be difficult to work efficiently and everything will stay cluttered. Loud or no music– A quiet restaurant can create a creepy, uneasy feeling but having music blaring throughout the building is just plain annoying. Avoid these common mistakes and it will help your business to grow and thrive. These common mistakes are usually the result of someone designing or decorating the restaurant without proper experience. It takes a trained professional with years of experience working in this industry to know what works and what don’t. Here at J. 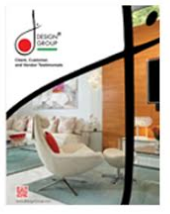 Design Group, we have been in the interior design business for over 26 years and we offer a complete range of design and decorating services. Contact us today to discuss your project and to learn more about the services we provide.